Robin Williams’ Daughter Releases Touching Statement about her Dad. The world lost a truly wonderful artist, Robin Williams, at the age of 63. Tragically, the cause of death was a suicide. Incredible to think that a man who brought so much joy and laughter…was plagued by his own demons. Depression is a serious illness…and suicide is the ultimate response to a feeling of helplessness and pain. 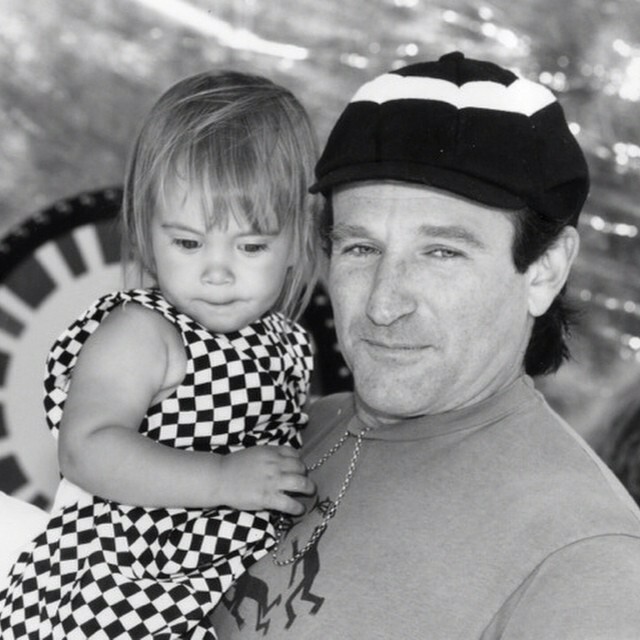 Robin Williams’ daughter released a beautiful statement about her father. “My family has always been private about our time spent together. It was our way of keeping one thing that was ours, with a man we shared with an entire world. But now that’s gone, and I feel stripped bare. My last day with him was his birthday, and I will be forever grateful that my brothers and I got to spend that time alone with him, sharing gifts and laughter. He was always warm, even in his darkest moments. While I’ll never, ever understand how he could be loved so deeply and not find it in his heart to stay, there’s minor comfort in knowing our grief and loss, in some small way, is shared with millions. It doesn’t help the pain, but at least it’s a burden countless others now know we carry, and so many have offered to help lighten the load. Thank you for that. Previous PostPrevious Kim K posts #ELEVATORKISS Pic….Will #KIMYE Survive? Next PostNext Chris Brown gets rewarded with LESS RANDOM DRUG TESTS!